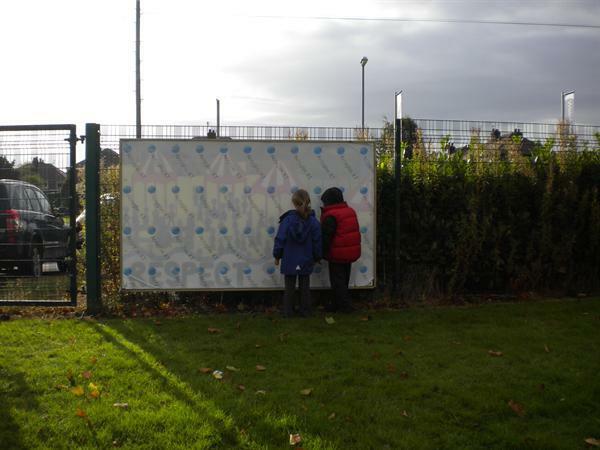 In the Summer term Artist, Laura Livesey worked with children across the school to produce some Lowry insprired murals for the school. 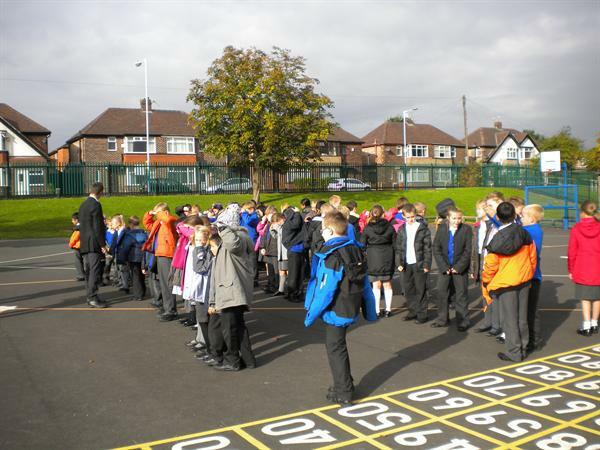 This whole school project has been officially unveiled today, watched by children from across school. The art work has been inspired by the work of LS Lowry and features the faces of many of the children in school, the scenes depict life in a range of settings and are captioned by key words that relate to our school. 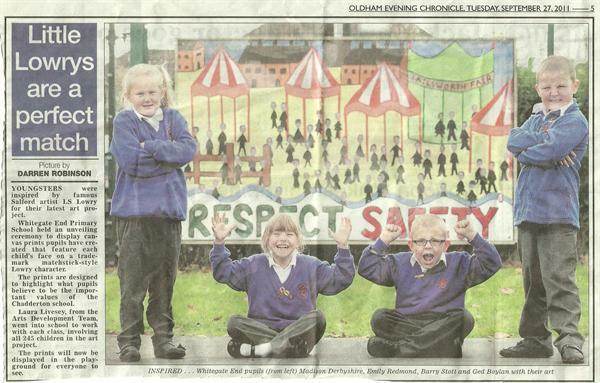 The Oldham Chronicle have visited to make a report about the project (we'll let you know when it's in the paper) and at breaktime junior children have been seen looking for their own faces. 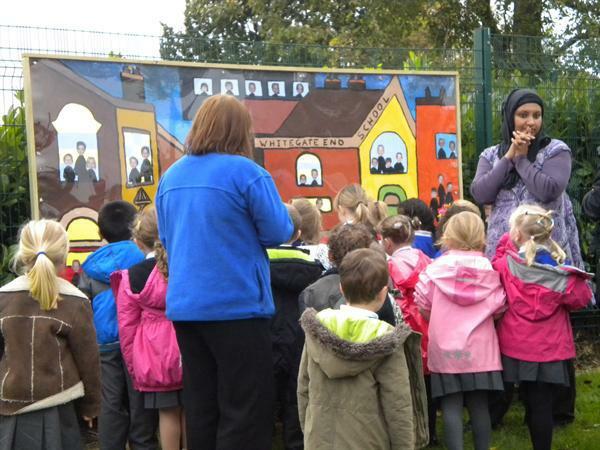 The mural have been placed in the upper playground on the fence adjoining the Oasis Academy. Please take some time to look at them when you next visit school. A big thank you to all children who have worked hard for this project, they look fantastic. See below for some photos and videos.